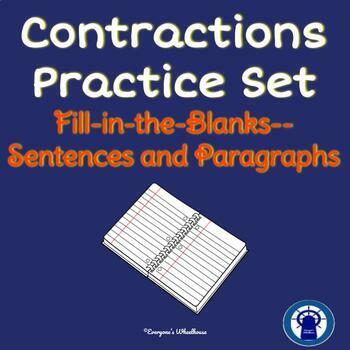 This set of four no-prep contraction practice activities will allow your students to reinforce their learning of contractions. Sentence and paragraph fill-in-the-blank exercises provide contextual practice. 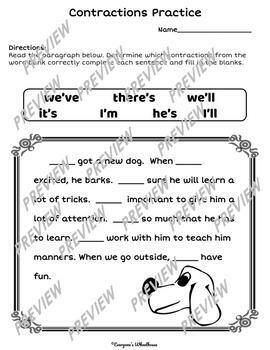 Showcase your students' knowledge of contractions with these ready-to-print exercises.